His has been a life of music with a distinctive voice and folk/country style which was later to find a home during his travels in the America. He took his first steps towards a music career in the embryonic London folk scene, existing by day in a shared house with Cliff Aungier at 42 Heber Rd Cricklewood, emerging by night alongside the passionate new wave of British acoustic aristocracy – Alex Campbell, Roy Harper, Gerry Lochran, Johnny Silvo, Derek Brimstone, Ralph McTell, Ron Geesin et al. In that hallowed company he cut his performing teeth playing for beer and bed in the capital’s back street blues and folk clubs such as Les Cousins and The Troubadour. 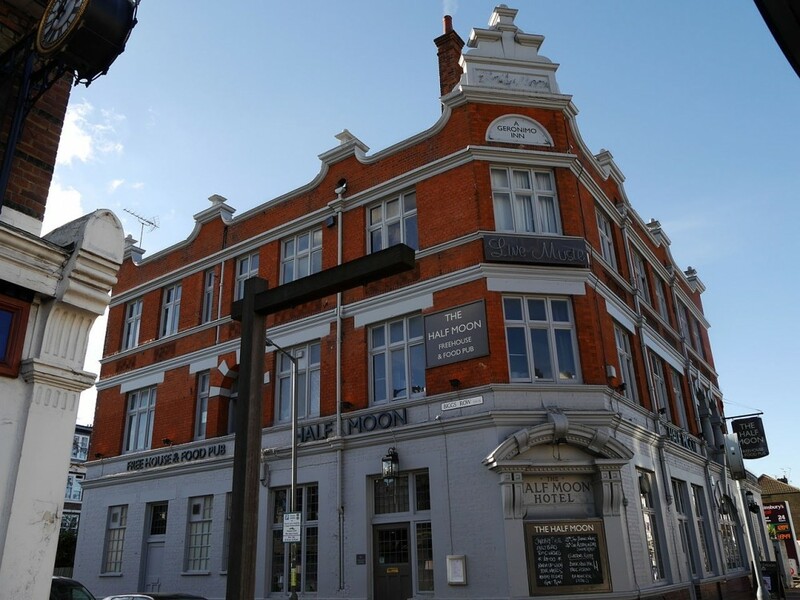 The Half Moon is a public house and music venue at 93 Lower Richmond Rd, Putney, London SW15 1EU, offering both lunchtime and evening performances. It is one of London’s longest running, and most respected live music venues. Since the early 1960s, some of the biggest names in popular music have performed there, including The Rolling Stones, The Who and U2. The venue has hosted live music every night since 1963. It all began with the folk and blues sessions started by Gerry Lockran, Royd Rivers and Cliff Aungier in 1963. ‘Folksville’, as the sessions were called, featured new British and European artists alongside established American blues-men. These included pioneering blues duo Sonny Terry and Brownie McGhee, Champion Jack Dupree and Arthur Crudup. British acts included Ralph McTell, John Martyn, Bert Jansch and Roy Harper, all now folk legends.